Jeff Daley as Sam in Eddie's Daughter. He's the one cowboy who grabbed Eddie, and was shaking his finger at him. He was an actor, known for movies Outlaw's Son (1957) ― The Enemy Below (1957). His list of TV credits are The Restless Gun (1957) ― Surfside 6 (1960) 1959 ― Wanted: Dead or Alive (1959) ― The Restless Gun (1958-1959) ― Wagon Train (1959 ) ― Mike Hammer (1959) ― The Rifleman (1959) ― The Millionaire (1959) ― Buckskin (1958) ― Tales of Wells Fargo (1958) and Official Detective (1957). He is the brother of producer Robert Daley. 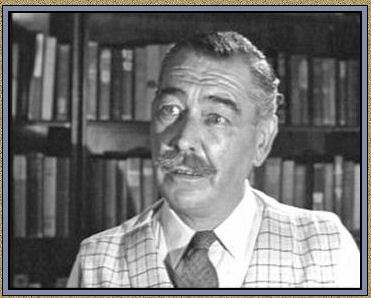 Maurice Dallimore as Percy Bullock Sr. in Hostage to a Fortune. He was the father of Percy and the book reader. Maurice Dallimore first appeared in the TV Movies, Me and My Girl (1939). His list of of movies are North to Alaska (1960) — Tender Is the Night (1962) — Lad: A Dog (1962) — The Three Stooges Go Around the World in a Daze (1963) — My Fair Lady (1964) — The Collector (1965) — Strange Bedfellows (1965) — Not with My Wife, You Don't! (1966) — Batman (1966) — The Comic (1969) ― Johnny Got His Gun (1971) — The Million Dollar Duck (1971) — How to Seduce a Woman (1974). His list of television appearances are The Gale Storm Show: Oh! Susanna (1960) — Sea Hunt ( 1960) — Shirley Temple's Storybook (1960) — The Roaring 20's (1960) — The Tab Hunter Show (1961) — Dante (1961) — Thriller (1961-1962) — 77 Sunset Strip (1962) — The Twilight Zone (1962) — Don't Call Me Charlie (1962) — The Jack Benny Program (1963) — The Rifleman (1963) — The Lloyd Bridges Show (1963) — Fair Exchange (1962-1963) — McHale's Navy (1964) — 12 O'clock High (1964) — Burke's Law (1965) — Petticoat Junction (1965) — My Three Sons (1965) — The Wackiest Ship in the Army (1965) — Honey West (1966) — Run for Your Life (1966) — I Dream of Jeannie (1966) — Sedgewick Hawk-Styles: Prince of Danger (1966) — Family Affair (1967) — Batman (1966-1967) — The Monkees (1968) — Bracken's World (1970) — Adam-12 (1971) — Nanny and the Professor (1971) — Bewitched (1971). 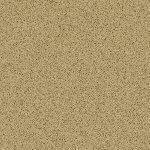 He has been in show business for thirty-five years with forty-four credits to his name. He was a popular performer most noted for portraying proper British character roles. He has played everything to a Bartender, a butler to a British Colonel. 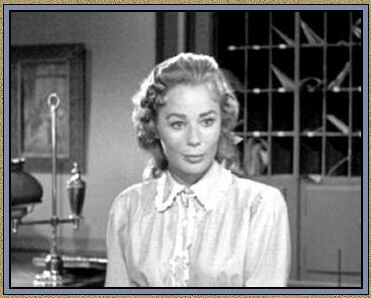 Abby Dalton as Nancy Moore in The Marshal. She was the niece of Marshal Fred Thomlinson and the clerk behind the desk at the hotel. Abby is best known for her role as Julia Cumson on Falcon Crest (1981-1986), her on screen son Lorenzo Lamas (Lance) was actually her son-in-law at one time, he was married to her daughter Kathleen. Falcon Crest was in the top 10 when Abby got to playing her nice character everyone liked into a psycho. Her first appearance was in the movie Rock All Night (1957). A list of her other movie appearances are: The High Cost of Loving (1958) — Girls on the Loose (1958) — Cole Younger, Gunfighter (1958) — Carnival Rock (1957) — The Saga of the Viking Women and Their Voyage to the Waters of the Great Sea Serpent (1957) — The Plainsman (1966) — Roller Blade Warriors: Taken by Force (1989) — Cyber Tracker (1994) — Buck and the Magic Bracelet (1999) — Prank (2008). 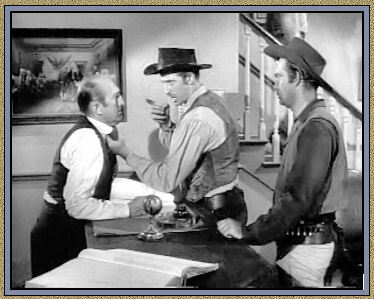 Jefferson Drum (1958) — Have Gun - Will Travel (1958) — The Rifleman (1958) — Schlitz Playhouse (1958). Linda Dangcil as Mrs. Sanchez in Baranca. She is the one whose husband, Pedro Sanchez, was killed in the beginning..
Linda Dangcil is one of those character actors that you see over and over again. 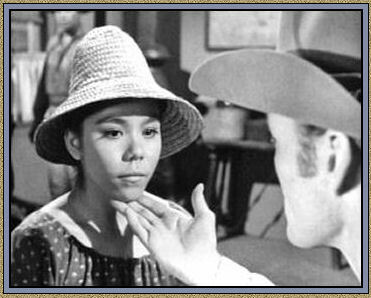 She also appeared with Chuck in Branded as Rosita in The Ghost of Murrieta. She was a regular in The Flying Nun as Sister Ana. She also was in EL Dorado, along with Johnny Crawford. She did various characters (voice actress) for Pup Named Scooby Doo and the '80s syndicated series Jem. On stage, Dangcil sang and danced several roles in the First National Tour of A Chorus Line at the Shubert Theater in Los Angeles. She was last seen on the L.A. stage in the role of Sally in the East West Players production of Follies. Dangcil choreographed and assisted in many productions at her high school alma mater, Immaculate Heart High School in Los Angeles, and directed several new productions for Los Angeles Play Festivals. She was an active member of several SAG committees and a teacher and mentor to many. Her first appearance was in the movie Jubilee Trail (1954). Her other movie credits are: Escape from Red Rock (1957) ― The Young Savages (1961) ― El Dorado (1967) ― The Bad Pack (1997). Bracken's World (1970) ― Cade's County (1971) ― The Bold Ones: The New Doctors (1969-1971) ― Days of Our Lives (1972) ― Harry O (1973-1974) ― Kaz (1979) ― Quincy M.E. (1980) ― Dynasty (1981) ― Jem ( 1987-1988) ― A Pup Named Scooby-Doo (1988) ― McGee and Me! (1989-1990) ― Batman: The Animated Series (1993) ― The Making of a Hollywood Madam (1996) ― 3rd Rock from the Sun (1996) ― Foofur (1986).